I am producing it using timber that dismantled the old private house and edges of the construction site. It is a parquet brooch. I tried to make a geometric pattern by taking advantage of the unique color shade of the tree. It is finished with wax of 100% natural material blended beeswax and plant derived oil. About care When gloss disappears or scratches become conspicuous, gloss returns when you spray vegetable oil such as olive oil and camellia oil and then wipe with dry cloth. 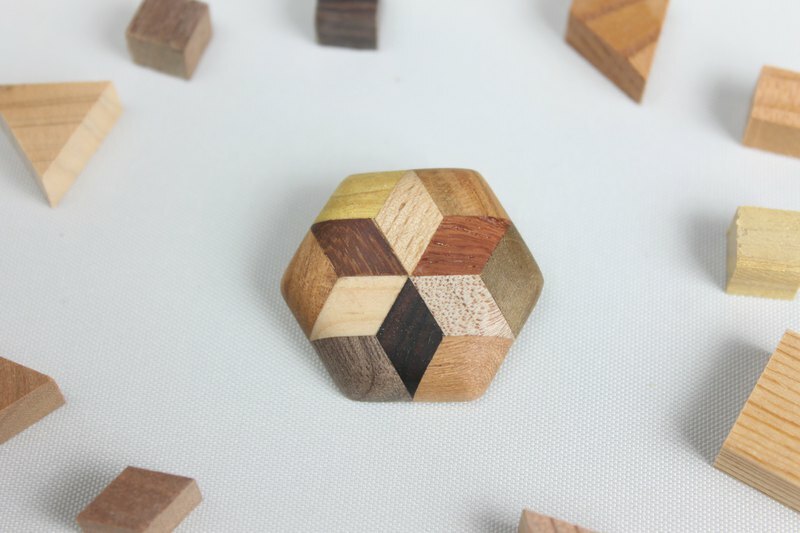 <Decorative part size> Width 31 Height 34 Thickness 7 mm <Material type> Made from cedar, cypress, pine, zelkova, chestnut, cherry tree, rust, sparrow, tsuga, Moabi, etc. at that time at the hand. ※ The way the patterns are arranged is random. Hue, etc., somewhat differ depending on the work. The picture is only an image.